Attorney Joe Knape with the 850-CALL-JOE Law Firm handles all types of federal criminal cases including white collar crimes. With offices in Orlando and Tallahassee, 850-CALL-JOE has a successful record of defending white collar cases. When people think of White Collar Crimes they are typically describing criminal activity covered by an apparently legitimate business and these crimes are usually committed for financial gain. 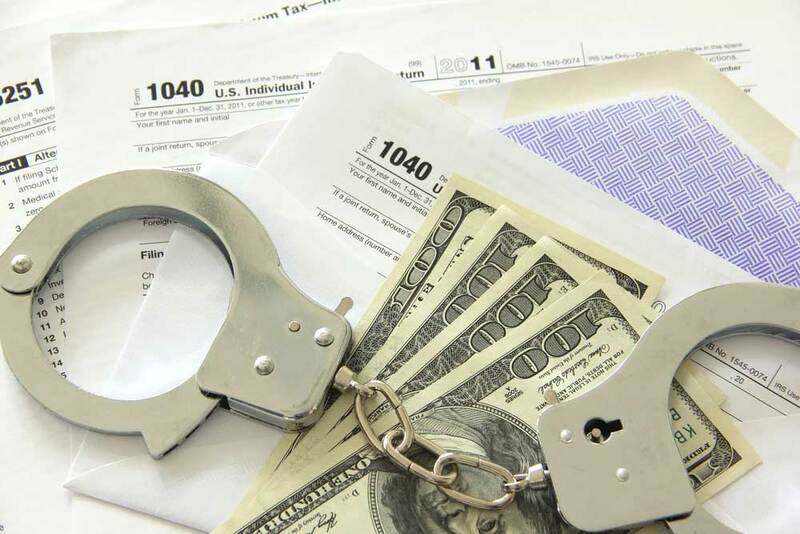 These crimes include various types of fraud including for example tax, mail, wire, mortgage, insurance or bank fraud. Also included under the umbrella of white collar crimes are RICO, counterfeiting, embezzlement, money laundering, larceny. Joe handles white collar crimes cases in and around Sanford, Kissimmee, Winter Park, Altamonte Springs, Apopka, Daytona Beach, Titusville, and Orlando. Sometimes white collar criminals in Orlando may not be categorized because of the crime charged but rather because of the individual accused of committing the crime. Having an attorney with the skills to not only handle business frauds, corporate Ponzi schemes and other monetary cases, but also violent crimes and other substance abuse charges involving high-profile individuals is all apart of the firm. Over the past several years white collar crime has become sensationalized in the United States. Defendants are often convicted in the Court of public opinion before any trial or lawful determination. The overall economic condition of the country contributes to the pointing of the finger at an individual that is accused of committing a white collar financial crime. Defending these high-profile cases is challenging because of high publicity, easy access to information and the media’s ability to create scandal and controversy. A defense attorney must manage the client and the media including keeping a balanced perspective to advocate the defense of the accused. The goals and focus of Federal Defense Attorney Joe Knape are the same as your goals that being obtaining dismissal of the charges or winning cases at the trial level. In order to achieve these goals you must have the resources to handle a lengthy financial investigation, utilize accountants, private investigators, former federal employees and combining those resources with the strategies implemented by Attorney Joe Knape to know when an evidentiary motion needs to be made and when to pull back and cooperate with the government’s opposing investigation. In order to be completely focused on winning a criminal case either through dismissal or trial one must have a sound strategy. During the course of a case that strategy is questioned and scrutinized because the pressure builds as the days and weeks pass leading up to trial. You should know that sometimes the best defense is to do nothing and force the government to prove their case without tipping your hand as to your strategy. Some Orlando white collar criminal attorneys believe filing several pre-trial motions pressuring the prosecution with witnesses and evidence that hurts their position is a successful strategy. In either scenario there is a cost/benefit analysis involved. What am I giving up by taking this course of action? What am I gaining? Many times a government’s case is made by bringing in cooperating co-defendants and striking a plea bargain with them. Using their own plea bargain against them shows bias and possible untruthfulness to the jury…i.e the government is paying for the testimony against you. You may actually find yourself in the position to bargain and testify but it all depends on your facts and the outcome you desire. The determination of whether your case goes to trial or whether your case is resolved through a negotiated plea bargain is your decision. You are the only one who can make that choice and Orlando Federal Attorney Joe Knape will offer an opinion and advice in your white collar criminal case, but cannot choose for you. No matter what your attorney will be prepared for trial and take the steps necessary to obtain the best plea offer available. Being for trial also typically helps the government present an acceptable plea offer. If you or someone you know has been contacted by federal law enforcement or has been accused of a white collar crime contact Orlando Federal Attorney Joe Knape for a free consultation.